I have a potholder that my Grandma Mangum crocheted years ago and I’ve wanted to figure out the pattern for a long time. I finally recreated her pattern in no. 10 crochet cotton and a size 6 (1.80mm) steel crochet hook. It’s nice and thick and I love how it turned out! But it took longer than I thought a potholder should take to crochet. So I used a thicker cotton crochet yarn – a size 3 or size 5 crochet cotton thread or a light dk cotton yarn keep the holes in the pattern pretty small and tight (important for a potholder!) – and a size C/2 (2.75mm) crochet hook to make the pattern a quick housewarming or bridal shower gift. Row 2: (Ch 3, 2 dc, ch 2, 3 dc) all in the same beginning ch-2 sp. Ch 1. (3 dc, ch 2, 3 dc in next ch-2 sp. Ch 1.) 5 times. Sl st in top of first ch 3. Sl st in next 2 dc and (attach new color yarn here if desired) then sl st into next ch-2 sp. Row 3: (Ch 3, 2 dc, ch 2, 3 dc) all in the same beginning ch-2 sp. 4 dc in next ch-1 sp. (3 dc, ch 2, 3 dc into next ch-2 sp. 4 dc in next ch-1 sp.) 5 times. Sl st in top of first ch 3. Sl st in next 2 dc and (attach new color yarn here if desired) then sl st into next ch-2 sp. Row 4: (Ch 3, 2 dc, ch 2, 3 dc) all in the same beginning ch-2 sp. Skip next 3 dc. 1 dc in sp between skipped 3 dc and next 4 dc. 1 dc in next 4 dc. 1 dc in sp between previous 4 dc and next 3 dc. (3 dc, ch 2, 3 dc in next ch-2 sp. Skip next 3 dc. 1 dc in sp between skipped 3 dc and next 4 dc. 1 dc in next 4 dc. 1 dc in sp between previous 4 dc and next 3 dc.) 5 times. Sl st in top of first ch 3. Sl st in next 2 dc and (attach new color yarn here if desired) then sl st into next ch-2 sp. Row 5: (Ch 3, 2 dc, ch 2, 3 dc) all in the same beginning ch-2 sp. Skip next 3 dc. 1 dc in sp between skipped 3 dc and the next 6 dc. 1 dc in next 6 dc. 1 dc in sp between previous 6 dc and next 3 dc. (3 dc, ch 2, 3 dc in next ch-2 sp. Skip next 3 dc. 1 dc in sp between skipped 3 dc and next 6 dc. 1 dc in next 6 dc. 1 dc in sp between previous 6 dc and next 3 dc.) 5 times. Sl st in top of first ch 3. Sl st in next 2 dc and (attach new color yarn here if desired) then sl st into next ch-2 sp. Row 6: (Ch 3, 2 dc, ch 2, 3 dc) all in the same beginning ch-2 sp. Skip next 3 dc. 1 dc in sp between skipped 3 dc and the next 8 dc. 1 dc in next 8 dc. 1 dc in sp between previous 8 dc and next 3 dc. (3 dc, ch 2, 3 dc in next ch-2 sp. Skip next 3 dc. 1 dc in sp between skipped 3 dc and next 8 dc. 1 dc in next 8 dc. 1 dc in sp between previous 8 dc and next 3 dc.) 5 times. Sl st in top of first ch 3. Sl st in next 2 dc and (attach new color yarn here if desired) then sl st into next ch-2 sp. Continue to increase each row in like manner until hexagon reaches desired size (6″ across is a good potholder size). Make a second hexagon. With wrong sides together and right sides facing out, sc the 2 hexagons together, finishing the edge with a shell or picot trim if desired and adding a loop at one corner. Click here to visit my Ravelry project page. Love the mulit colors used. Thanks for writing up and sharing the pattern. Absolutely love these!!! Thanks for sharing, I’m trying to figure out ideas for Christmas and these are a strong possibility. Love, love, love these. I have one very similar inherited from my grandmother. Unfortunately my crochet experience is rusty. I’m stuck on Row 2 and not sure where to place the first 2 dcs. I’m so confused. Can you please clarify? Thanks so much. Thank you for letting me know the pattern was a little bit confusing! I’ve just updated the pattern to hopefully clarify it a little (refresh your browser and the changes should appear). As you end each row, slip stich over to the next ch-2 space (this is where you will start the new row). So, starting from this beginning ch-2 space, you will (chain 3, 2 dc, chain 2, 3 dc) all into the very same beginning ch-2 space where you are starting the row. Chain 1 and you’re ready to crochet into the next ch-2 space. Follow the pattern around the hexagon. Very nice !!! Love the colors. Thanks for sharing. Thank you for recreating the pattern and for posting it! I have two vintage thread potholders that I’ve also been meaning to recreate one of these days, but since that is far toward the end of my long project list, I appreciate the chance to try your grandmother’s. –from another Allison! Ok, I tried to put a shell pattern on my finished pot holder and am becoming aware of yarn or thread “size”. I am using Sugar’n Cream, it says it is a 4. The potholder is super sturdy and thick, but the shell pattern does not work out very well using this yarn. Am I supposed to use a crochet thread rather than a crochet yarn? Is that where I have gone wrong? Hi Vivian! Yes, the thick worsted weight yarns like Sugar’n Cream are hard to work out a shell edging for this pattern. 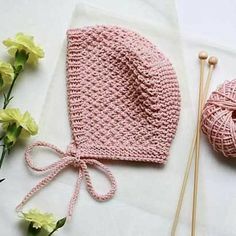 If you’re using thicker yarns, I would suggest either a simple single crochet edge or a single crochet edge with a picot or clover motif here and there. I use stitch holders to mark out where to place the picots – for that matter I like to use stitch markers to mark out where I place my shells too. Where might I find instructions for a clover motif that would work for this project? Also, I have never ventured into any yarns other than those found at the big chain craft stores. Are the lighter weight yarns something I would need to go to a specialty store to find? It seems that the craft stores stock either the standard yarns or threads. Or are the thread type what you used. I’m sorry to ask so many questions, but it seems I am getting an education in yarn “weight” for this project that I did not expect and have not concerned myself with before. 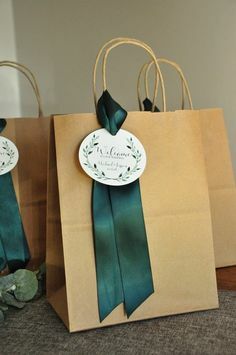 I’m excited to understand the differences and would like to use the best product for the project as I intend to use them as gifts. I appreciate your help 🙂 THX! Hi Vivian – I love your questions! Don’t hesitate to ask. Many women helped me and answered my questions when I first started and I’m very grateful to them for their patience. The big chain craft stores all carry cotton crochet thread in usually 2, sometimes 3, weights. Size 10 (Bedspread weight), Size 5, and sometimes size 3. 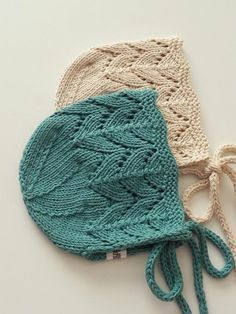 Size 3 is the biggest weight (the Sugar’n Cream you mentioned before is a worsted weight yarn and is not recommended for this pattern) and size 10 is usually the smallest weight a big chain store will carry. If you want smaller weight cotton crochet thread (size 20, 30, 40…) – for crocheting or tatting lace, for instance – you’ll probably have to go to a specialty yarn or embroidery shop or order it online. But sometimes I’ll find it at a big craft store! Go figure. For the Vintage Crochet Climbing Trellis Hexagon Pot Holder, I would suggest a size 3 or size 5 cotton crochet thread. A clover crochet edging is made by making three “petals” all in the same stitch. There are lots of free 5-petal crochet flower patterns online and on Ravelry – just make three of the petals in the same stitch as you go along the edge. Play around with it and you’ll get it! I just went online to Joann’s and can’t find crochet thread at all on their website. I also went on Amazon and they do have size 3. Would you mind telling me where you ordered or bought your thread for this project? I would like to be sure I am getting a quality product, especially if I am going to order it online without being able to see or touch it first. I did go to a specialty store in my area and they suggested that their thread was way too expensive for such a project and sent me to Michael’s, the only thread I found there was almost as fine as sewing thread and I thought the package said it was a size 0. As the numbering system goes higher does that indicate a thicker thread? What does “worsted weight” mean compared to the thread weight you are suggesting here? ….sigh….I’ve been all over the internet and have not found too much available in a size 3. I did find Red Heart brand on their website, but they only have 11 colors available! The Amazon thread is a brand called DMC? The reviews on it are not great. I am going over to Joann’s in the morning to see what they have on the shelves, maybe I just did not know what I was looking for when I was in last time. Now I think I have a better idea. p.s. I did find information on the numbering system! The larger the number the finer the thread 🙂 I am sure that the thread I saw at Michaels was labeled a size 0 and was so fine? hmmm…I probably have no idea what I am talking about. Hi Alison, I loooooovvvveeee these potholders, already made a couple of them. I was wondering if you are ok with me writing a Dutch translation on my blog? Ofcourse with the link to your original pattern. I am sure we can make a lot of people happy 🙂 Hope to hear back from you, tnx! actually, I believe the stitches that are left out are from row 3, but they make row 2 look different. 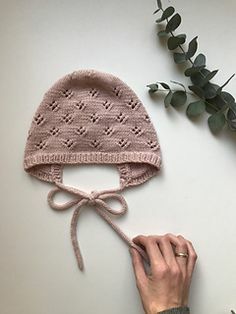 Okay, I so apologize Alison, I was so confused with the pattern and the more I looked at it, the more confused I got,,I think I have it figured out now,,maybe I shouldn’t try to crochet at night. Very colorful & lovely. This is a special piece since you replicated it from your grandmothers potholder. Very talented. thank you. February 25, 2014 - 6:48 pm Pingback: Free Pattern Friday Roundup! Hexagon Love! 1-800-441-0838 Herrschners _Mary Maxim 1-800-962-9504. Thanks for sharing this pattern. I love it. I also love the colors. Wonderful pattern. Again thanks. Love the vintage potholders:) Very cute! Thank you for sharing your pattern, too! Question…I have a lady that wants me to make some potholders and sell them to her. Is that okay for me to do with your pattern, or do you have a copyright that states otherwise? I would love to do this for her, but I also want to be sure it is okay for me to do so. I don’t have a copyright for the potholder pattern. I just tried to recreate the potholder that was made by my Grandmother. It’s okay with me if you sell the potholders you make. Good luck! would love to buy 10-12 of these hexagon potholders. Do you know of a vender would could make them for me to purchase? I am not aware of any vendors that are currently selling this potholder. You could check with your local yarn shop – they might know of someone in your area that would be willing to crochet the pattern for you – or teach you how to crochet them yourself! This is a beginning crochet pattern – nothing too difficult – but be aware that depending on how many color changes you’d like, this potholder pattern could take 1 to 2 hours (or more) to crochet. You’ll also want to factor in the cost of yarn when you ask for an estimate on cost. Good luck! If I hear of anyone selling finished potholders, I’ll pass along their information. I love the color combination in multi color hexagon pot holder.I made one and want to try others also.Thank you for sharing such lovely pattern. Such a pleasing pattern, and such beautiful crochet work. Thank you for sharing! Thank You for the pattern! I love vintage. I just want to find out if any of these patterns are available in Afrikaans, because my sister in law can not follow a pattern in English. I’m sorry, but I don’t think anyone has translated the pattern into Afrikaans. Hi! I'm Allison Pyper Wallace Baker and I love all things handmade. The Mr. and I, with our three children, live in Utah. Thanks for visiting! I hope you find something here that makes you happy! Want To Know Who Did My Logo?